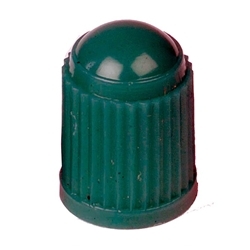 Valve Cap TPMS Compatible Dark Green Plastic with Red Silicone Seal BOWES TV 37492 Box of 100. TPMS Compatible. With the introduction of TPMS and nitrogen inflation systems in recent years, tire and wheel service isn’t as simple as it used to be. As we keep up with the changing needs in the aftermarket, Bowes continues to make available the most popular valve tools and accessories.